Our troop is made up of students all from the same Catholic School and this week was Catholic School’s Week. 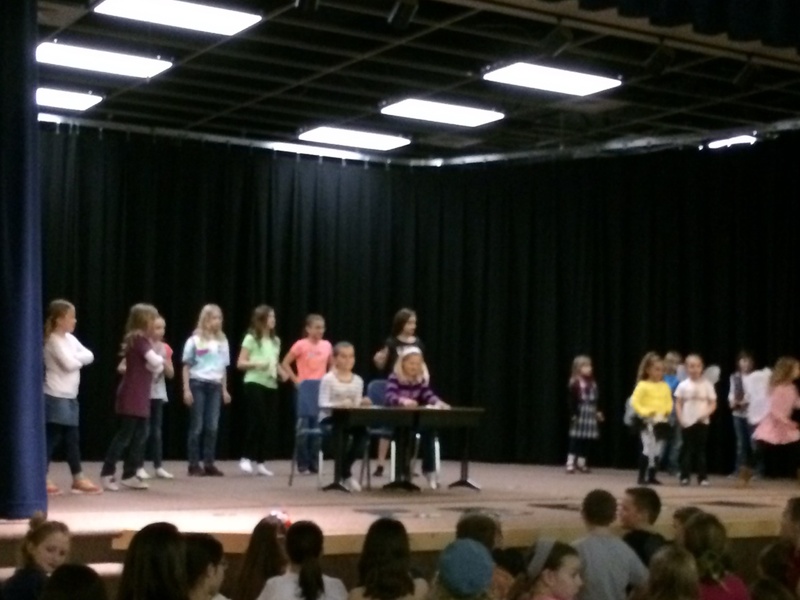 The week is full of many fun events for the kids, including the annual Talent Show. 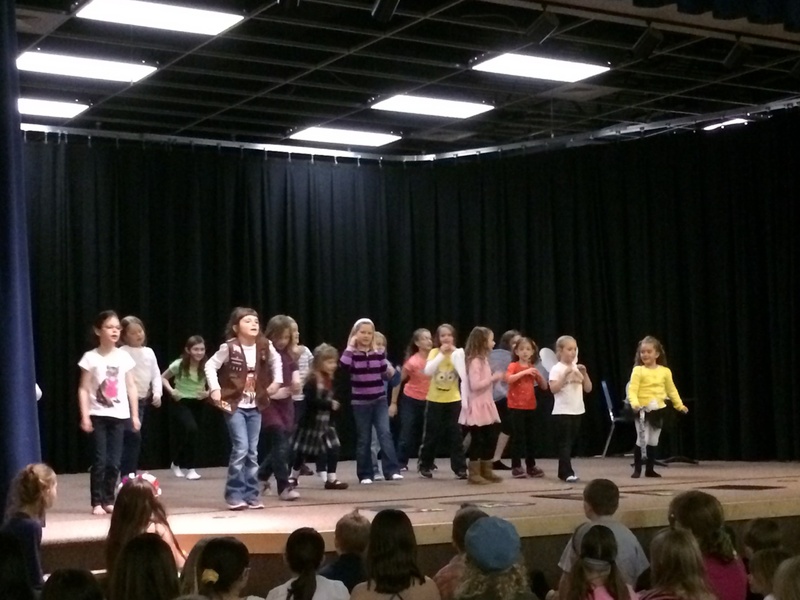 This year, about 85% of our troop participated in the talent show in one act or another. We had some beautiful piano solos and duets, and a few wonderful dances including a ballet solo. But, new and special this year, Co-Leader C. coordinated with the teacher in charge of the talent show to have a “Girl Scout Troop” act as the grand finale for the entire talent show. And boy-o-boy it did not disappoint. DAISIES got to dance around, “floating like butterflies”. 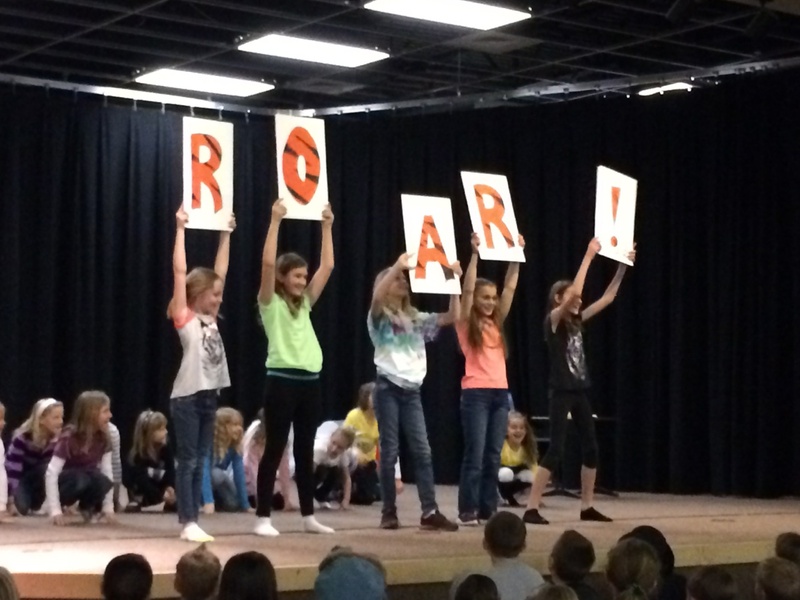 and JUNIORS got to ROAR!! We are SOOOO proud of our girls! They continue to regularly amaze us! Special thanks to the girls who volunteered to participate, Co-Leader C. and Holy Family Catholic School for ALWAYS supporting and accommodating our troop!